A fantastic matt white angled table lamp. 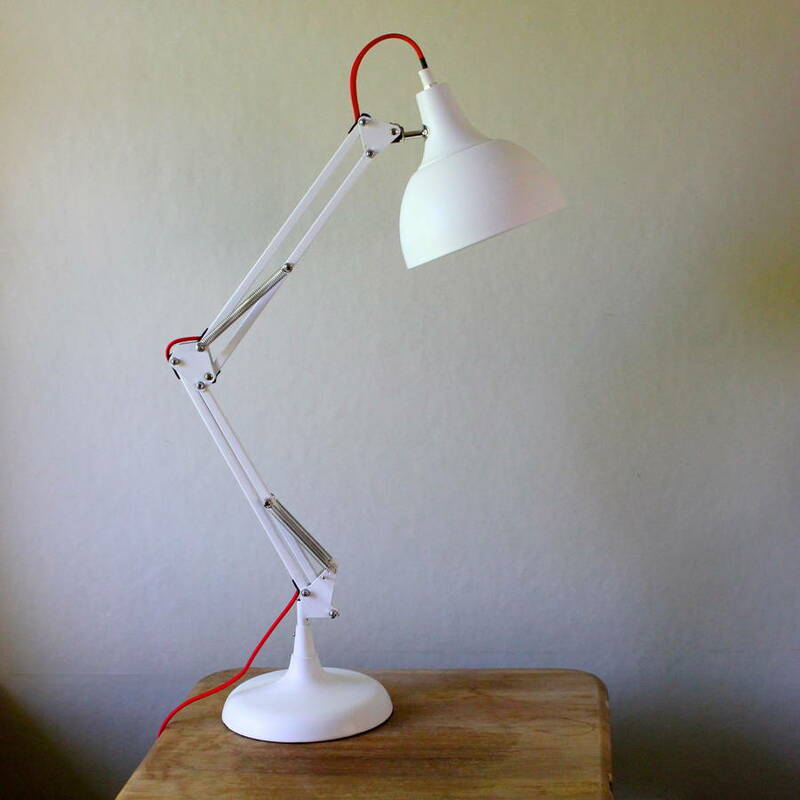 This adjustable table lamp comes in a really matt white with a striking red cotton flex and is great to have on your desk or bedside table as a reading light. It has a good, sturdy construction and is adjustable. It will add a funky and contemporary feel to any room. It would also make a great wedding present or Father's day gift. This lamp requires 1x E27 large Edison screw bulb, maximum wattage of 40W. This product is dispatched to you by The Forest & Co.